The legal drama surrounding Sandra Grazzini-Rucki in family court created a cult-like group of followers who were drawn to Grazzini-Rucki’s case because many were also involved in their own disputes in family court. Her followers knew little about the true facts involving Grazzini-Rucki’s lawless behavior in court and her unwillingness to follow court orders. Over the last 7 years, Grazzini-Rucki and her supporters have used social media, blogs, and online forums to promote their distorted view of the facts involving Grazzini-Rucki’s family and criminal court proceedings. The vast majority of Grazzini-Rucki’s online supporters have never attended a court hearing involving Grazzini-Rucki. As Grazzini-Rucki’s record of documented lies continues to build, her statements and accusations have become more outrageous and untruthful. This page of Missing in Minnesota will provide verifiable facts and primary source documents to refute false statements and fabricated incidents created by Grazzini-Rucki and her supporters. 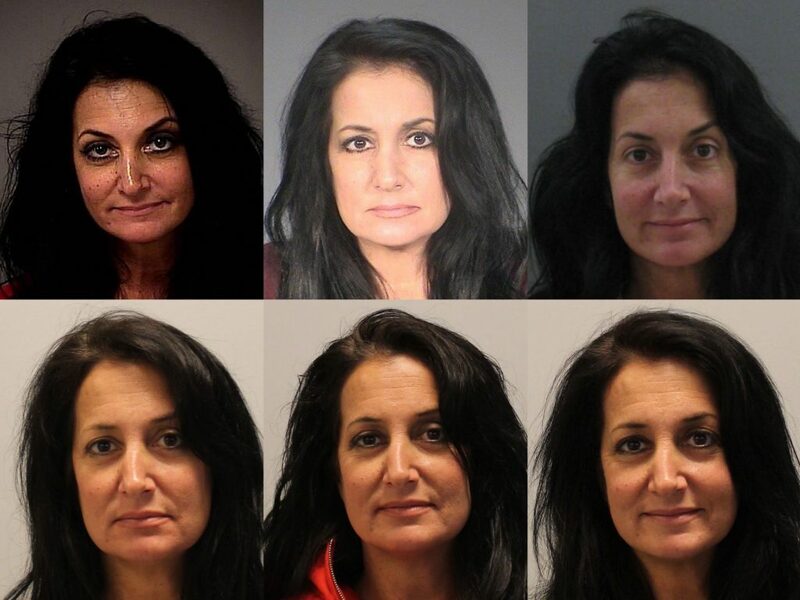 A collection of Sandra Grazzini-Rucki’s booking photos from multiple law enforcement agencies related to her arrest on criminal charges involving the disappearance of her children and subsequent probation violations. In an interview last year, the owner of the blog admitted they published posts about Grazzini-Rucki’s case written by another person without independently verifying the accuracy of the posts. After being confronted with the documented factual inaccuracies of their misstatements, Grazzini-Rucki and her group of supporters have resorted to creating websites to promote their propaganda and lies, or they use anonymous social media accounts to recirculate their previously debunked talking points. Grazzini-Rucki currently does media interviews with supporters who operate their own websites, social media accounts, podcasts, or who write for fringe publications. She continues to recycle many of the same lies in her interviews which have been repeatedly debunked and proven to be false. Because of Sandra Grazzini-Rucki’s erratic behavior, questions have been raised about her overall mental health. Publicly available court documents contain numerous examples of court-appointed officials and psychologists highlighting concerns with Grazzini-Rucki’s mental health. “[Grazzini-Rucki] had a flat affect and showed no emotion when speaking about her missing children. Sandra Grazzini-Rucki was married to David Rucki in 1991. 19 years later, Grazzini-Rucki filed for divorce. In her initial petition for divorce, Grazzini-Rucki made no allegations of abuse against David Rucki, nor did she claim David Rucki abused their children. In fact, Grazzini-Rucki called law enforcement over 20 times after the initial divorce decree was dismissed in an attempt to ensnare David Rucki. Independent reporting from media outlets, statements from law enforcement officials, and testimony in court have confirmed the findings that Grazzini-Rucki manufactured false allegations of abuse. During an episode of ABC’s “20/20”, Sandra Grazzini-Rucki repeated statements she has made in the past that she was physically abused by David Rucki during their marriage. Staff from “20/20” spend hours examining 20 boxes of documents provided by Grazzini-Rucki’s attorney and found no documentation to verify Grazzini-Rucki’s claim that she was physically abused by David Rucki. The Lakeville police department has said that they have no record of ever being contacted by Sandra Grazzini-Rucki about abuse during her marriage to David Rucki. Sandra Gazzini-Rucki’s son Nico told ABC’s “20/20” that his mother “coached” him into making false allegations of abuse against his father, David Rucki. In an interview with the Lakeville Sun Current, Nico said his father did not abuse him or his siblings. Nico also said his mother told the children to run away from home and avoid the police. Sandra Grazzini-Rucki’s two oldest children testified at her criminal trial that they were not abused by their father, nor did they see their father abuse any of their siblings. Sandra Grazzini-Rucki has continued her behavior of making false allegations against David Rucki, the media, law enforcement, and the judiciary, since being convicted in July 2016 on six felony counts of deprivation of parental rights.